GLOS DRD was my first proper double reed day and for my first one it was absolutely fantastic. It was so much better than the woodwind day I went on 4 years ago. My favourite part of the day was the master class because – even though I didn’t play in it – it was really interesting watching Alison Teale teaching. Her tone on her Oboe was absolutely amazing. After the class I just wanted to go home, grab my pieces, come back and practise them. Before that I had chamber music: My group ended up working on some truly beautiful pieces and having a good time as well. The piece we played was simple but because it was simple it sounded stunning. All the parts fitted really well together. I wanted to have a Cor Anglais in my group but it didn’t matter that we didn’t have one. After lunch (which was delicious) we had a reed making class however my reed wasn’t thin enough to make a noise so I am going to finish scraping it at home. This was my second reed making course, and the way we were taught at the double reed day was quicker and the method he used for tying on was unfamiliar. After supper we had the concert. It went on a long time but it was worth it. We started with and orchestral piece which was Handel’s Fireworks music. It sounded really good; it had changed over the day since our rehearsal first thing. I played it better in the rehearsal because I was tired at the end of the day. Dominic Hawley who took our orchestra rehearsal was awesome and he really got the piece good. Then we played chamber music and all the groups were good. To finish off the people who took the master classes played some solos. 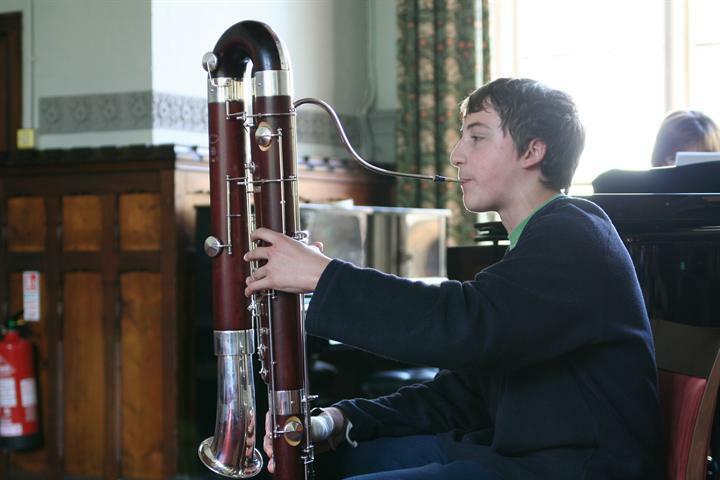 The bassoon went first and played part of the wonderful Saint-Saens Sonata. It took a long time but the quality was unbelievable. Then Alison played her Cor Anglais and it truly blew me away. It made me want to play Cor Anglais. Who knew Cor Anglais’ could play jazz? The whole day was so inspiring and I can’t wait to go next year! 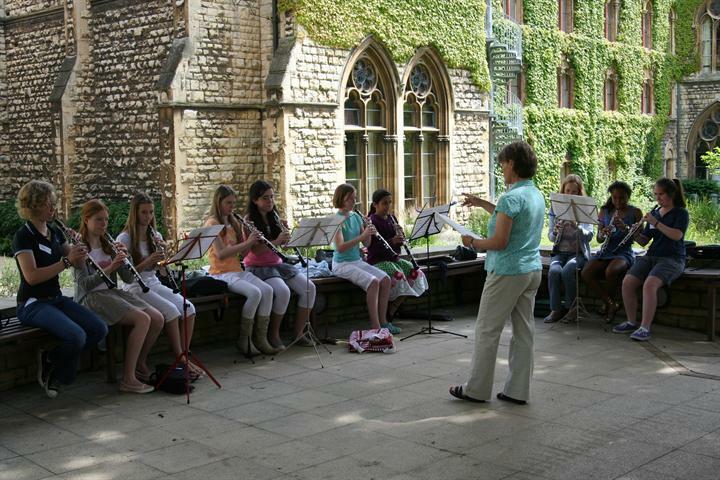 On Sunday, 28th June, many double reed players from across Gloucestershire eagerly made their way to the Cheltenham Ladies’ College for a day of playing, learning and meeting new people. In the morning, we all played in a massed band conducted by Dominic Hawley, the head of music at CLC. We played the music for the Royal Fireworks. It was very enjoyable, playing with others as it is very rare that you can get an opportunity to play with so many double reed instruments. 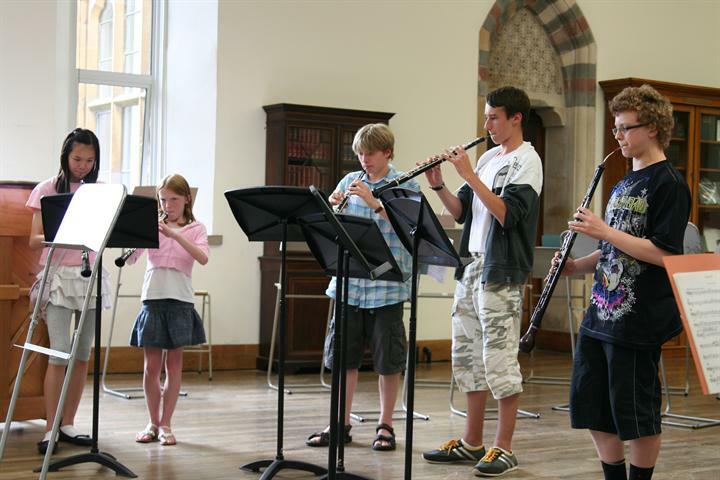 The participants were then split into four groups and took part in various challenging activities, ranging from making our own reeds to a master class run by Alison Teale who made some very interesting and helpful comments and was very patient, whatever the standard of playing. In the evening everyone performed in a concert, starting with the massed band followed by all the various chamber pieces we had practiced in our groups throughout the day. Overall, the day was a great success and a fantastic experience. Everyone tried extremely hard and this was shown in the delightful concert in the evening. On Sunday 28th June I made the journey to Cheltenham Ladies’ College to experience the very inspiring and wonderful Gloucestershire Double Reed Day 2009. When I got there, just after 9.30am, I was very excited because there were more bassoonists in the same room as me than I’d ever seen before. However I seemed to be the only student with a contrabassoon, and I later played this in the concert at the end of the day in Handel’s Royal Fireworks Suite. This was very energising because it was loud and fun, even though I had the smallest part. During the break I got to have a chat with my friends Andy King and Kat Wyndow from the Schools’ Philharmonic Orchestra in Bath, and I discovered that the Cheltenham Ladies’ College did good drinks! After this I had my masterclass with the professional bassoonist Sarah Burnett, who proved to be a lovely, helpful person. I was able to introduce a new work to her, The Narwhal (Opus 11) for contrabassoon and piano by the American composer Alan. This piece was first performed by the great Susan Nigro who is a huge inspiration to me. Even though Sarah had not heard of the piece she helped me into the piece and taught me how to improve it. Later she was brilliant again when she showed everyone in the room how to make reeds. There was a great shop in the corridor and I bought a high-quality reed there after trying it on a Fox Reynard bassoon. The final concert, particularly the Handel, was great fun, and I also enjoyed playing in the piece for six bassoons called The Policeman’s Lot. The other players put on an epic show and I really enjoyed watching the students doing the Bach – they were my favourite group. I would like to do that piece. Sarah Burnett and the oboe teacher Alison Teale gave stunning performances at the end, which was a fantastic close to the day.